You can connect USB keyboard, mouse and joysticks to USB port of your CosmosEx device and use them as native keyboard, mouse and joystick – this means that they will work without any driver on ST and they will work with games. But you don’t have to get rid of original keyboard, mouse or joystick to use the new ones, even though they will be now connected through the same IKDB port. For this purpose a IKDB injector is used – it’s a small board with connectors for original keyboard, a connector for CosmosEx IKDB kable and a connector which will be connected to original IKDB slot. Because the Atari ST computers come at least in 2 types of cases – sandwich type (keyboard and computer together) and Mega ST(e) type (keyboard and computer are separate), two different types of IKDB injectors are available. 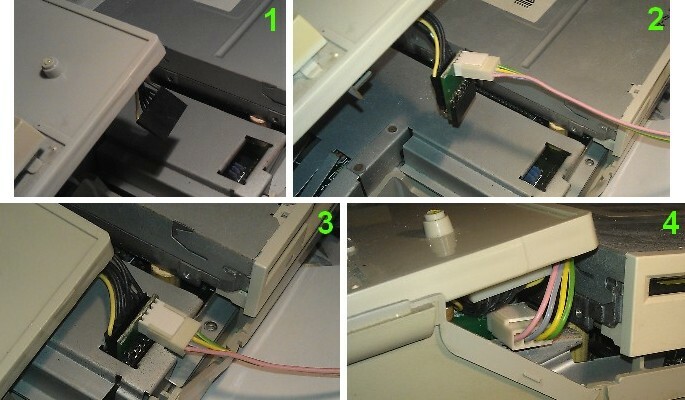 If you do have a silly cable (which can be plugged in both ways) between CosmosEx device and your injector, please see also IKBD injectors – how to connect them using the silly cable .